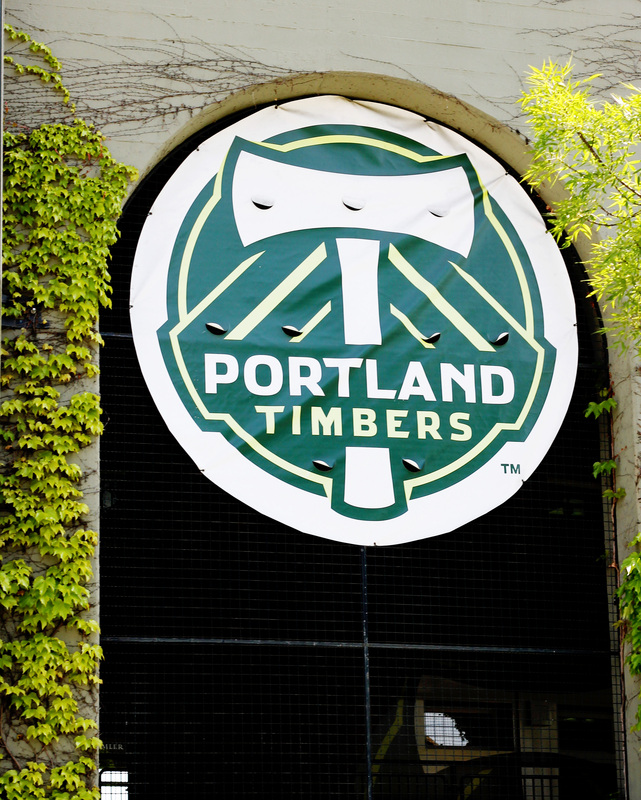 Portland is such an amazing city and when we visited back in May during our Pacific Northwest road trip we knew we would only have a short time here. We really did not have plans at all but we knew we wanted to take advantage of the city’s great food and cafe scene and that is basically all we did. It was AMAZING! The diversity of the food available in Portland runs the gamut from fine dining to their awesome food trucks and we tried to sample as much as we could. 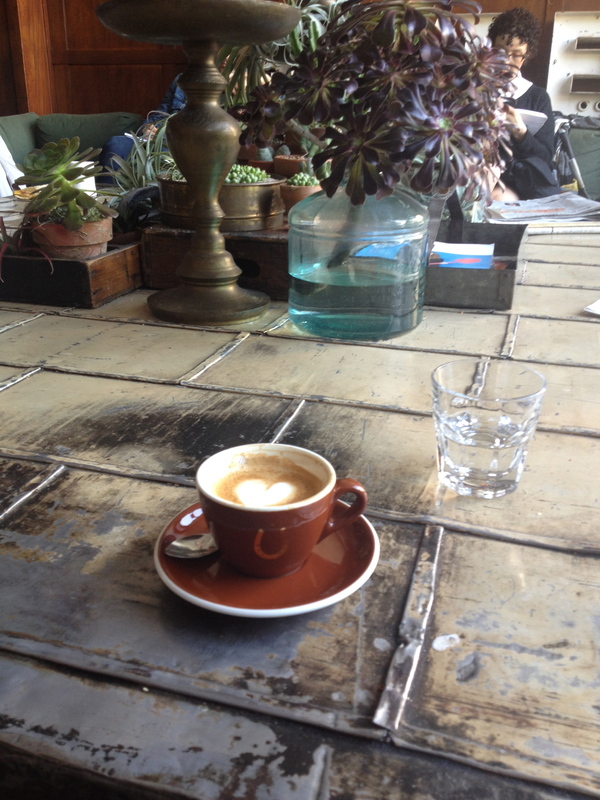 So here is how to eat local in Portland in just 48 hours! We rolled into Northeast Portland around 7pm and were greeted by our AirBnB hosts. Upon arriving we had absolutely no idea where we were and our hosts were more than happy to direct us towards some local restaurants because per usual we were starving. They mentioned this tapas place and we were sold. Toro Bravo has been open since 2007 and is basically credited (from the magazine article I read) with revitalizing Portland’s Spanish tapas scene. It is honestly one of the best Spanish tapas restaurants I have been to. It does not specialize in any one regional Spanish cuisine, unlike Bar Barlata in Oakland (my other favorite tapas restaurant which specializes in Catalan tapas), but instead focuses on cuisine throughout Spain. We browsed the menu for a bit before settling on perhaps waaaayyy too much food. We have a tendency to do that. To accompany our insane amount of food we decided to get a bottle of a Spanish rioja and then we tasted our way through Spain. We tried the seared scallops with romesco (I cannot turn down scallops), house cured chorizo with manchego cheese, tortilla espanola and of course the ubiquitous patatas bravas. All the food was absolutely delicious (although Alex and I both agree that we probably do not need to order patatas bravas again as there are so many other things we like more) and the atmosphere was lively and fun. We sat at the low bar right in front of the open kitchen and thoroughly enjoyed watching the movement of the chefs in such a small kitchen. 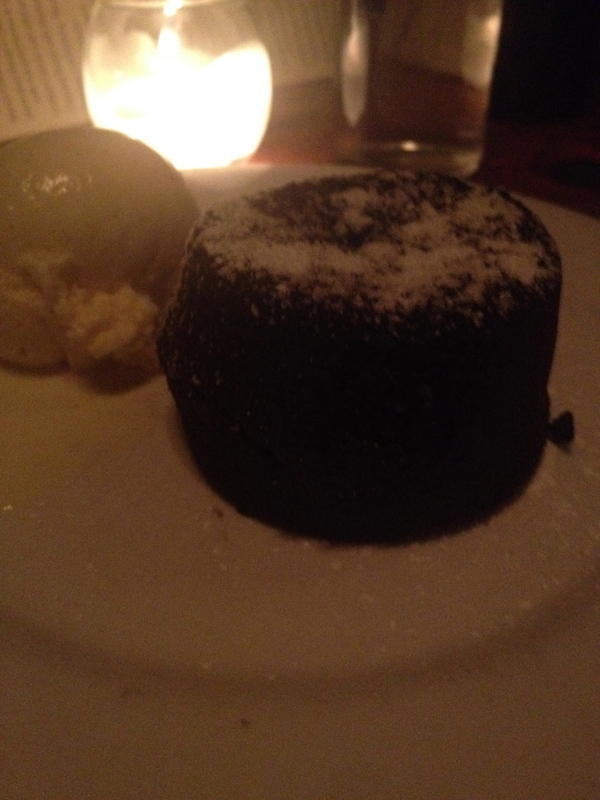 Also the evening was perfectly capped by molten chocolate cake and some sherry. *Note: We got insanely lucky by just walking in without a reservation. If you really want to go here make reservations. The next morning was a slow morning, as most are for me, but we finally got up and moving to explore downtown Portland. My parents had suggested we explore the Pearl District and while I was browsing the internet for breakfast places we stumbled upon Tilt. 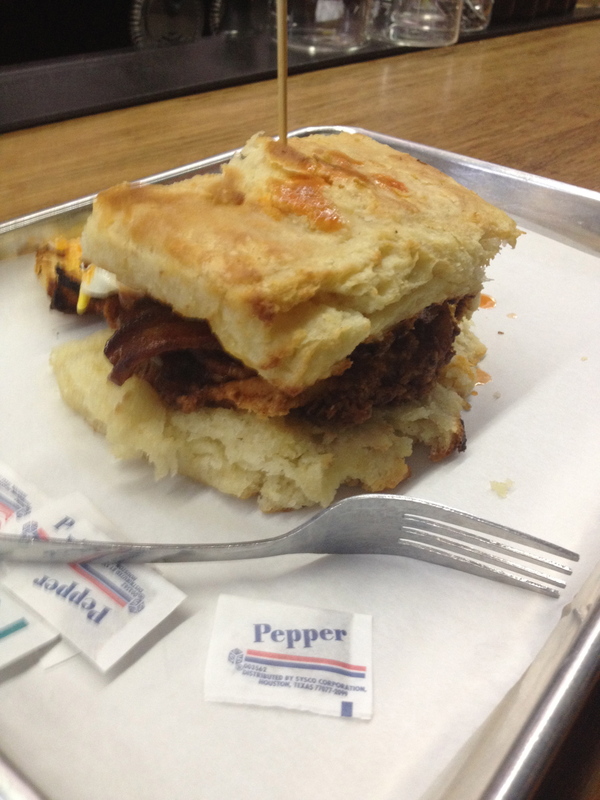 Tilt is located in the Pearl and is famous for their Blue Collar Biscuit Sandwiches. This was the perfect place for us to hit up as we got to indulge in a little brunch action, it being around 1pm after all. Tilt is located in a large industrial building and is huge with seating both inside and out. When you enter you order at the counter and then you can head around to find your seating. We found ourselves seats at the bar, shocking I know, and promptly ordered two bloody marys. 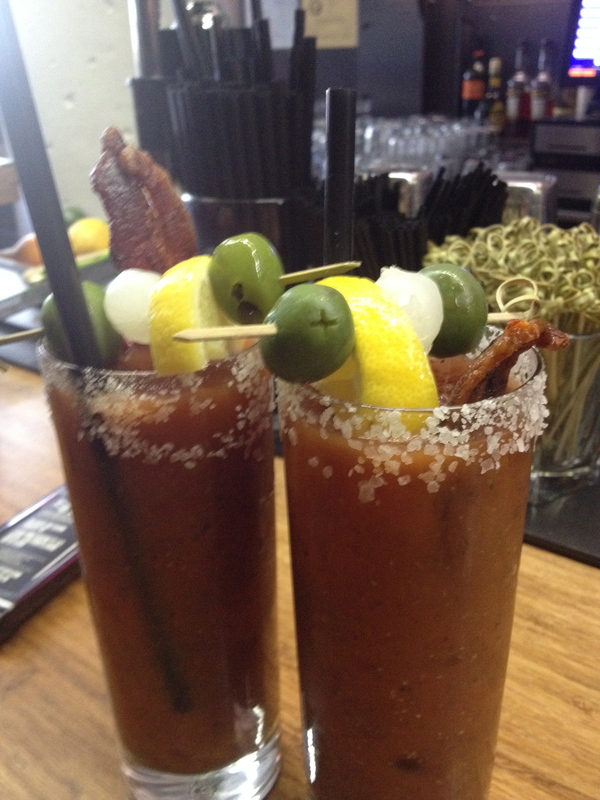 They were pretty damn delicious, although my favorite bloody marys are still from The Abbey. As we waited for our food we partook in some casual people watching. Even though we were indoors they had the huge garage doors open to connect with their outdoor patio and it was a gorgeous day. Then our food arrived and it was HUGE. Alex got one of their famous Blue Collar Biscuits and his had bacon, eggs and cheese on it and I order the BBQ Chicken Ranchers Salad. They were both awesome although I almost wish I had ordered a burger here because they looked so good. Overall Tilt was great and had an awesome vibe. It would have been great to come back for a drink later but we had many more places to visit. 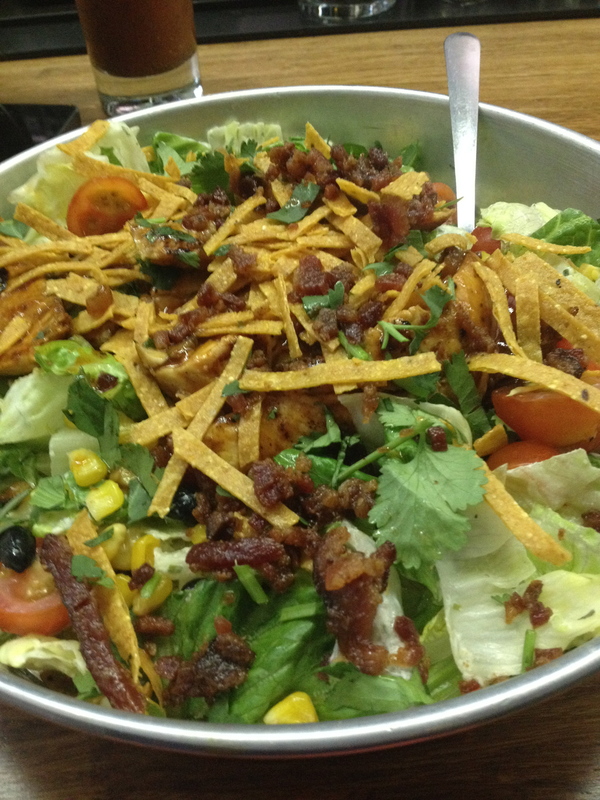 It may be a salad but look at all that BACON! 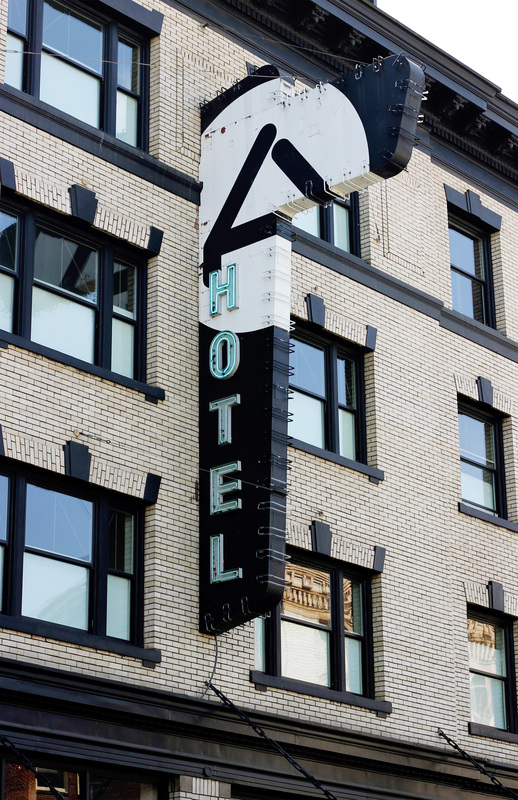 The Ace Hotel is delightfully hipster. We had some time to kill before meeting up with Matt’s girlfriend so we took a walk down to Pioneer Square and then moseyed over to Bailey’s Taproom. I feel like this is a Portland staple but that could be only because multiple people told me to go there; maybe they just know me. Bailey’s Taproom is a great spot where they focus on Oregon beers and are constantly switching them up. They also have this fancy system where they mark how much is in each keg that way if you have a favorite you know how quickly you need to drink it to make sure you get the last of it or at least that is how I took it. After a brief detour to drop our bags off at Matt’s house we headed back to the Pearl to eat at Andina,a novoperuvian restaurant. If there is one cuisine I love eating and miss that we do not have in Healdsburg it is Peruvian food so naturally I was INCREDIBLY excited to eat at this restaurant. The restaurant is huge and has a great vibe; it almost feels like you have entered Peru (or so I am baselessly assuming) as you can dine on three different levels feeling very much like a peruvian home. Once again we ordered wwwaaayyyy too much food per usual. 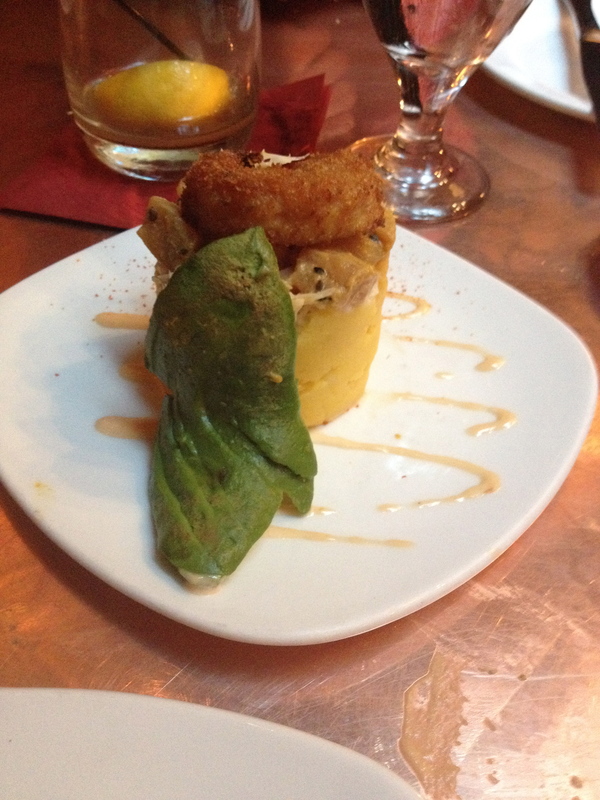 Perhaps one of my favorite dishes was the Palta Rellena de Cangrejo, which was an avocado stuffed with crab and topped with a prawn; yum! 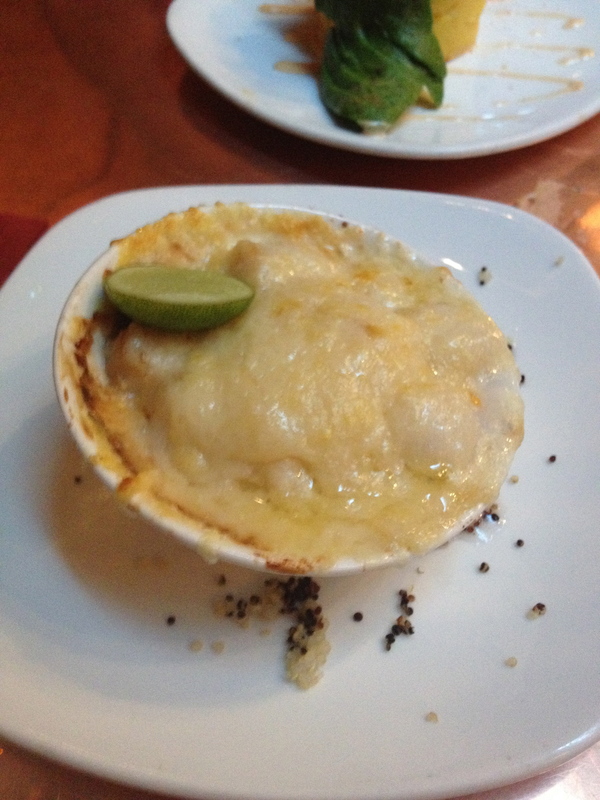 We also ordered the Conchas a la Parmesana, scallops baked with parmesan cheese and lime. 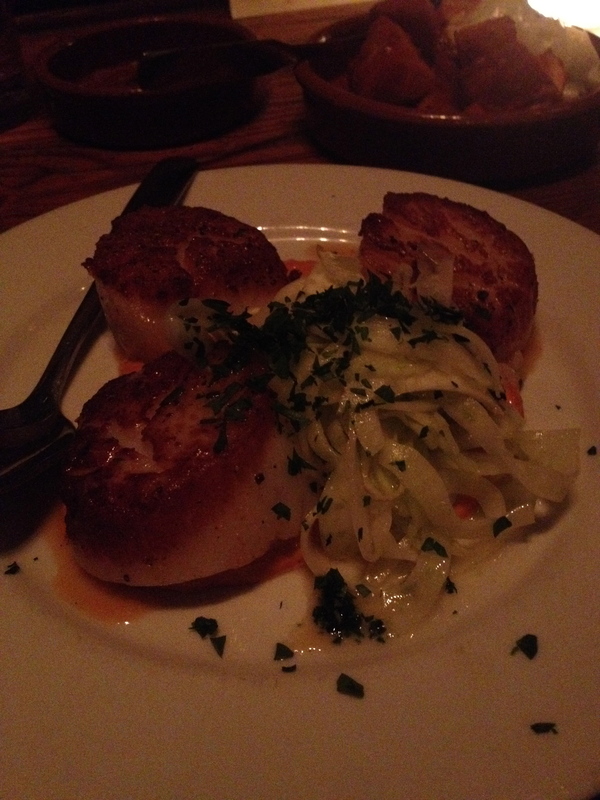 It reminded me of the scallop mac and cheese at Willi’s, one of our favorite restaurants in Healdsburg. Also if you have never tried causas before you are missing out. The whipped purple potatoes with shredded chicken make up the Causa Morada and I needed to order that because well its a causa made out of purple potatoes. Accompanying all this food were fantastic cocktails including the traditional Pisco Sour and the spicy Sacsayhuaman with habanero pepper vodka and a passion fruit puree. After the delicious Peruvian food was devoured we decided that we needed an after dinner drink and Matt and Carly wanted to take us to one of their favorite bars, The Rookery Bar. The Rookery Bar is somewhat of a hidden gem mainly because there is no sign for it and it is located above the Raven and Rose, a British style gastro pub located in the historic Ladd Carriage House. The bar has all the charm you would expect from a hidden bar in a historic building; dim lighting, the leather chairs, the band playing in the corner and of course the drinks. The drinks were superb at the Rookery. I had two fancy gin cocktails, I believe one was called Bonny Wee Lass, Alex and Matt had Manhattans and Carly had an Irish Coffee. I don’t know how I ended up leaving without an Irish Coffee, they are probably one of my favorite cocktails. Our final morning in Portland and we just had to keep on eating. I swear we gained a gazillion pounds in this 48 hour period. Before heading to Portland and watching too much Food Network the main thing I knew about the city was it had crazy doughnuts so we had to search out Voodoo Doughnuts. Voodoo Doughnuts are famous for their crazy doughnut concoctions and they certainly lived up to the hype. The doughnut combinations are ridiculous and some would argue ridiculously good. 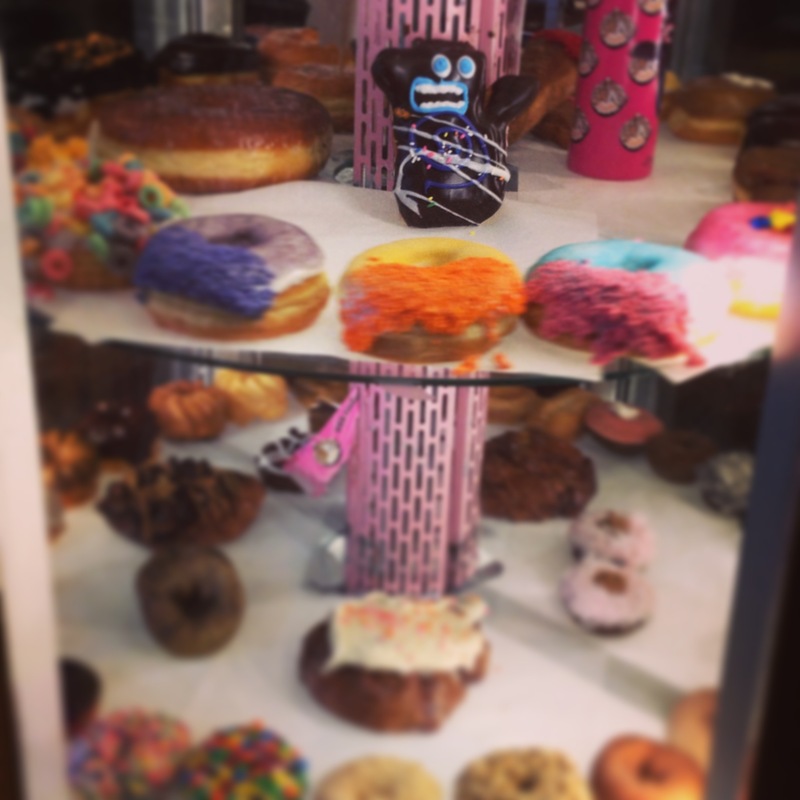 Just look at the Voodoo doll doughnuts, delicious! I am not really a doughnut person but we decided to had to order the Voodoo Dozen which is a random assortment of their doughnuts. We had the Marshall Mathers, Dirt Doughnut, The Loop and so many more. 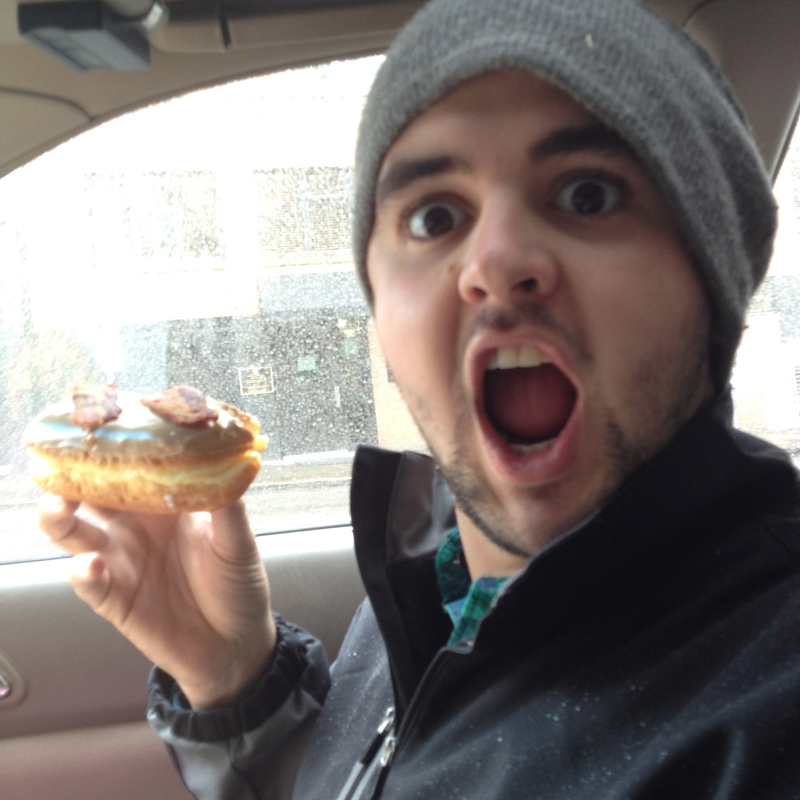 We also tried their famous maple bacon doughnut. That one was probably my favorite but the others were decidedly too sweet for me but I am glad we had a dozen and were able to bring them to my family. 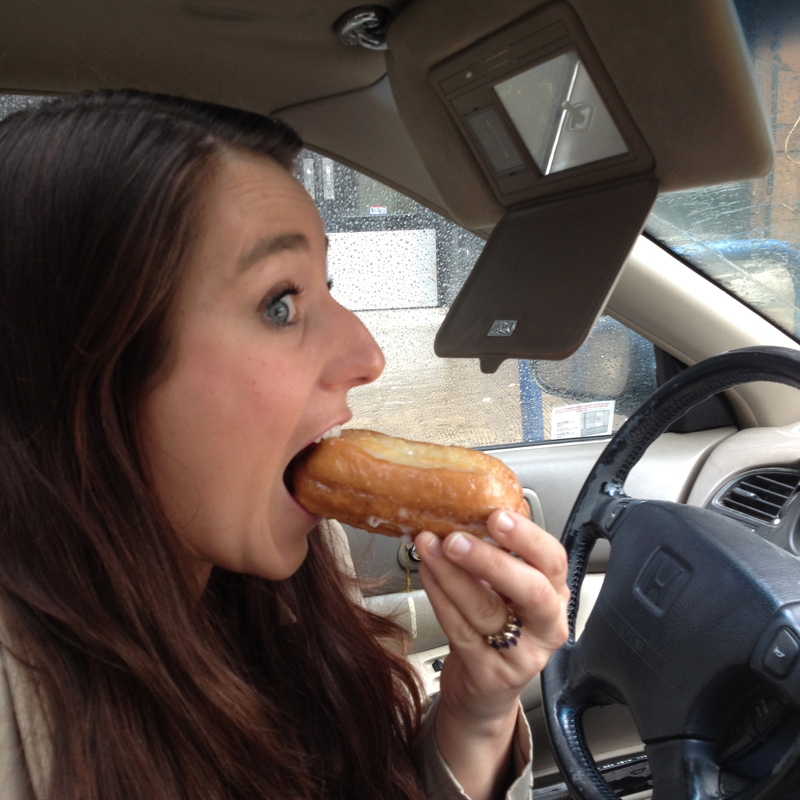 The doughnuts were fun to pose with as we ate them in our car as well. Yay we are normal…. Not totally sold on the whole doughnut thing…. 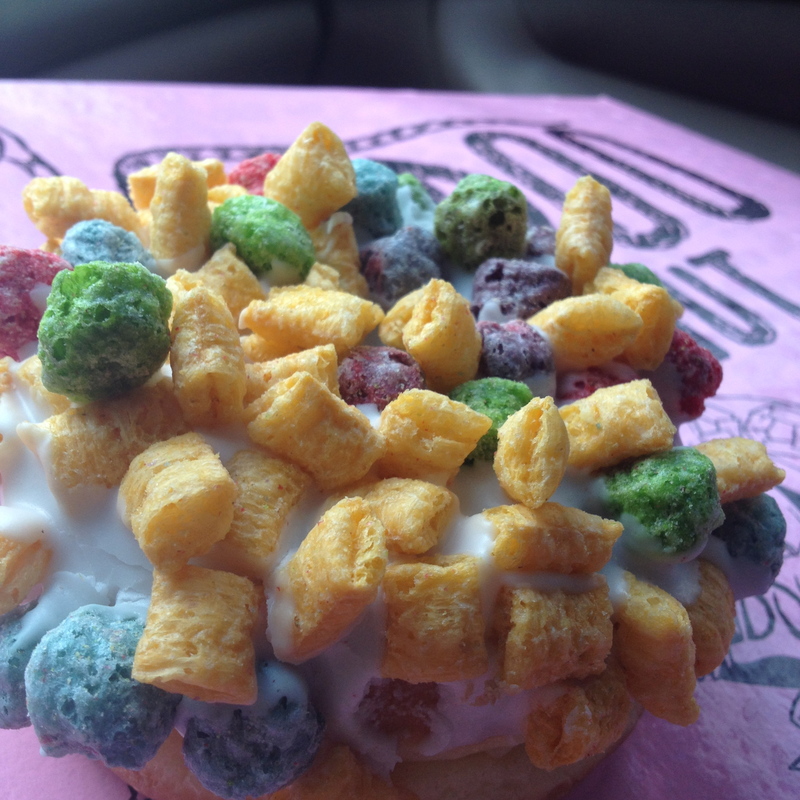 Cereal on a doughnuts! What is this world coming to? We knew the last thing we needed to do in Portland before we hit the road again was to explore some of their extensive food trucks food carts. We hit up one of the squares with a wide variety of cuisine on SW 9th Street and Adler and made a decision not to make a decision about what we wanted until we had seen all the carts. Holy mother of all things delicious there were a lot of options! I was absolutely floored by all the different options and types of food they had in just a small radius. We finally narrowed our decision down to three food carts: Kargi Gogo, EuroDish and A Little Bit of Smoke. Kargi Gogo is Georgian cuisine and we chose it because we have never had Georgian food. We sampled a few different dishes including the Lobani, a stuffed bean and sauted onion bread, which I thoroughly enjoyed. I normally associate anything stuffed with beans to be Mexican but this was a revelation and now I cannot wait to go to Georgia and EAT! (Granted that is pretty much what we do when we travel). We then moved over to EuroDish for pierogis. I was first introduced to pierogis when Trader Joes started carrying them in the frozen aisle and they became my favorite after school snack so I had to order some. 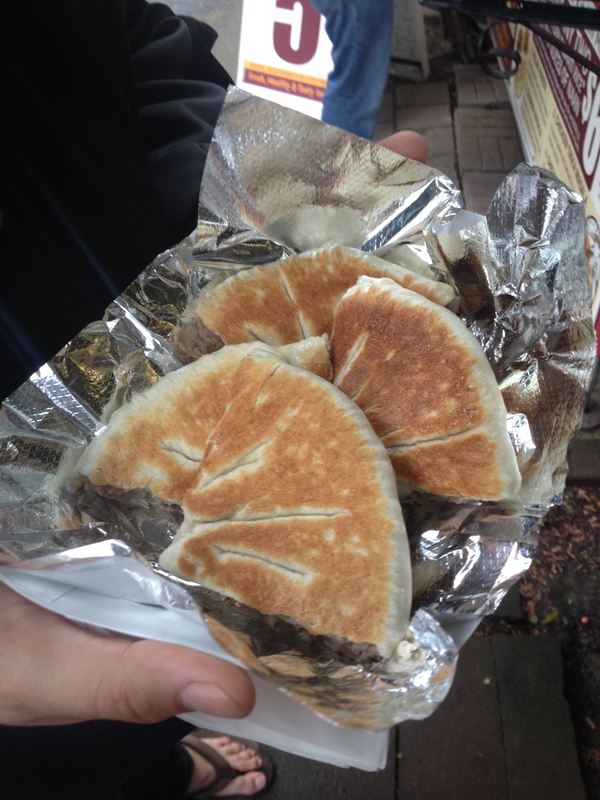 We ordered the sampler of three different types of pierogis; ground beef, cabbage and cheese. They were soft pillowly balls of dough smothered in sour cream and stuffed with deliciousness. Seriously, what is better? Perhaps our third stop. By this time we couldn’t eat anymore though considering we were still digesting the doughnuts but we couldn’t resist ordering anyways. But we were smart; we got it to go! 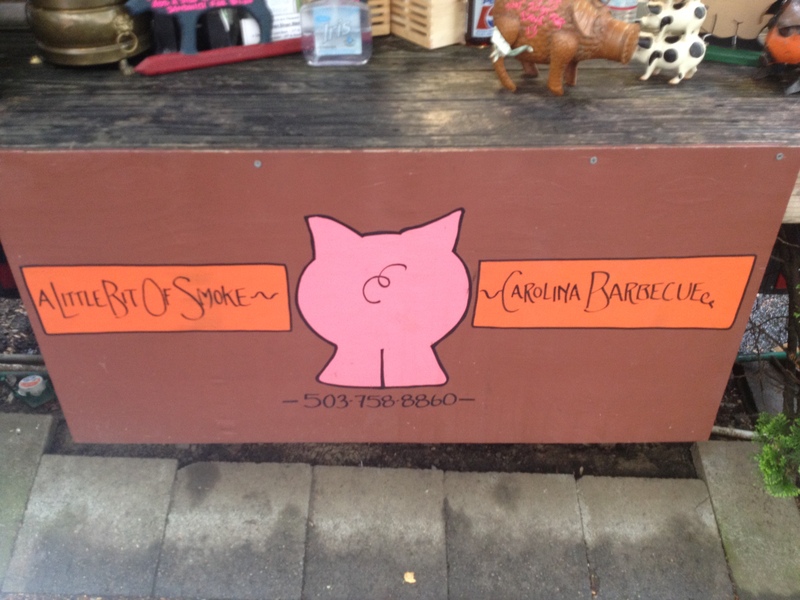 A Little Bit of Smoke is a Carolina BBQ food truck. I ordered the pulled chicken sandwich and Alex ordered the classic pulled pork. We ended up not eating these sandwiches until we pulled into Seattle hours later but even cold they were awesome. To be honest all the food we had in Portland was awesome and I would head back in heartbeat! There are so many food carts we did not get to try; FoodCartsPortland.com lists all the options and I am getting hungry just looking at all of them. Portland is the best city for overindulging in fantastic food and drinks and if we could eat all this in just 48 hours just imagine what we could eat in a whole week there! Loved Portland but sadly didn’t try try those crazy Voodoo donuts.